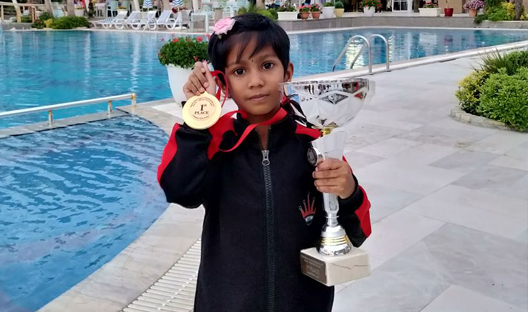 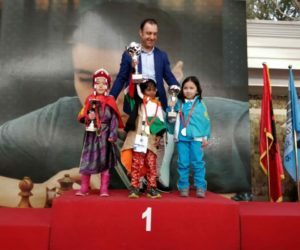 At the age of 6, Lakshana S from Karakudi, Sivgangai becomes the champion in World Schools U-7 Girls Chess Championship 2018 held at Durres, Albania, Europe from 20th to 29th April, 2018. 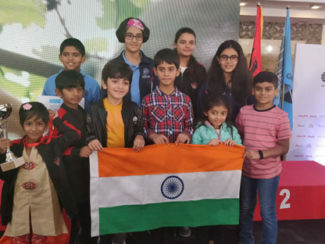 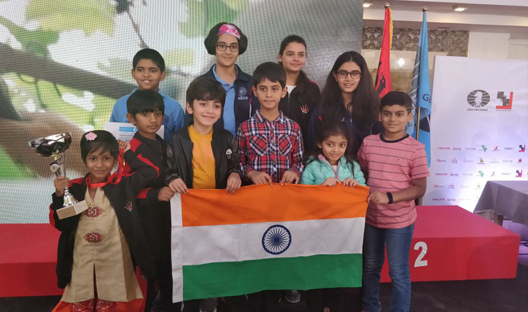 Totally 387 players from 40 countries participated in this World Schools chess championship tournament, conducted for six categories of boys and girls each. 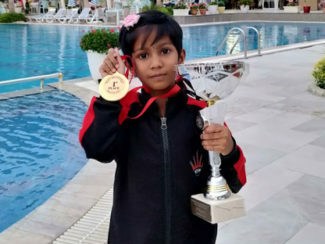 She is the only Indian to clinch in this championship. 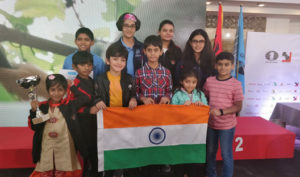 Thanks to Lakshana the entire Indian squad is going back with a smile on their face!